OLD PARKED CARS. 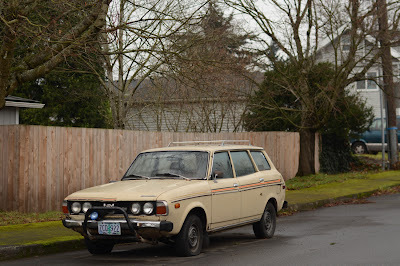 : 1978 Subaru DL Station Wagon. 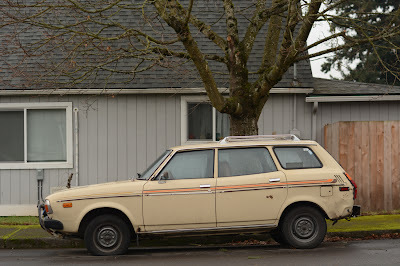 1978 Subaru DL Station Wagon. 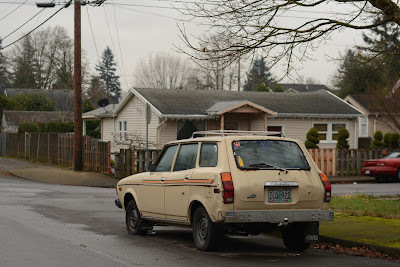 Notice how this wagon, being a 4x4, was freed of the burden of the horrible 70's nader bumpers. 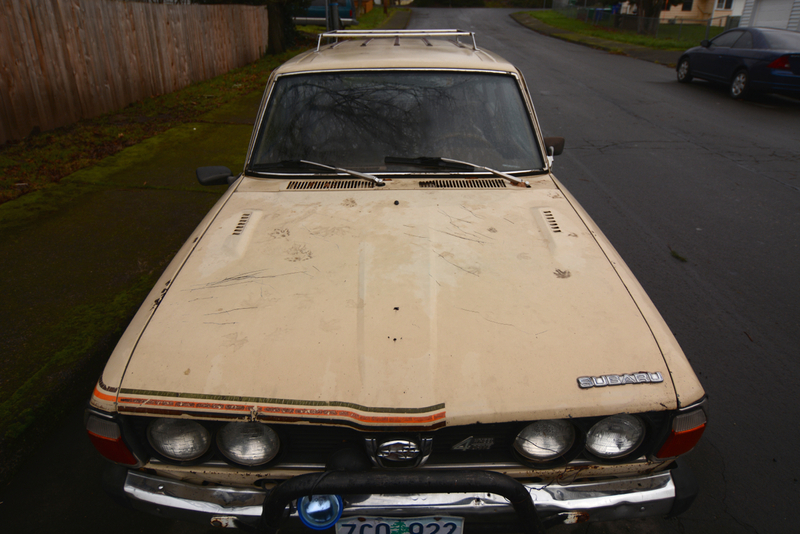 The same car, as a 2wd, would have big ugly protrusions on both ends. 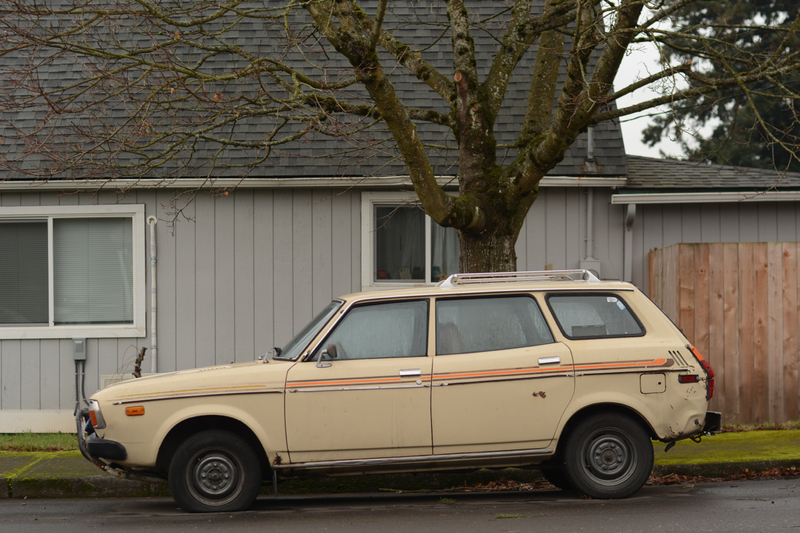 This thing is so versitile and elemental, reason enough to want one. Love these....shame about the flat tire.